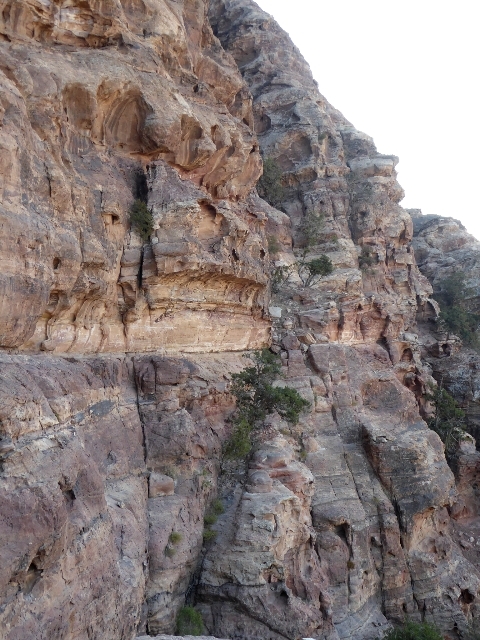 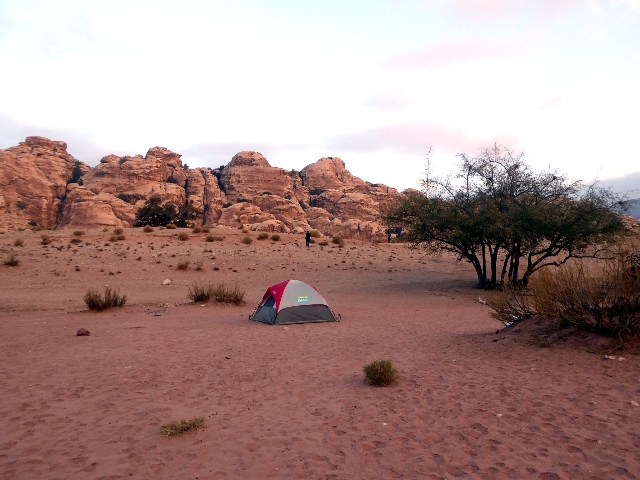 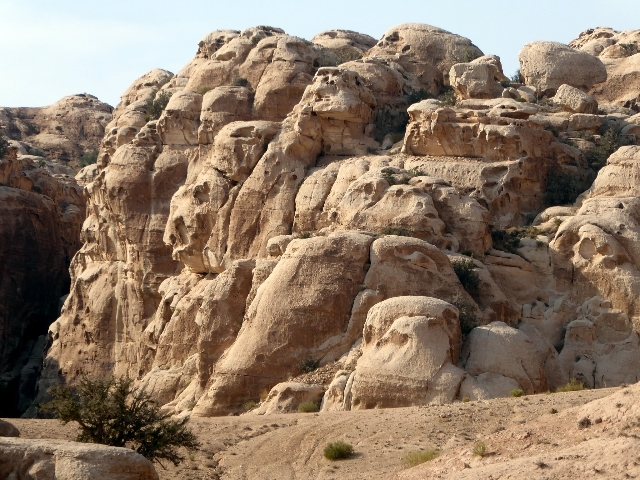 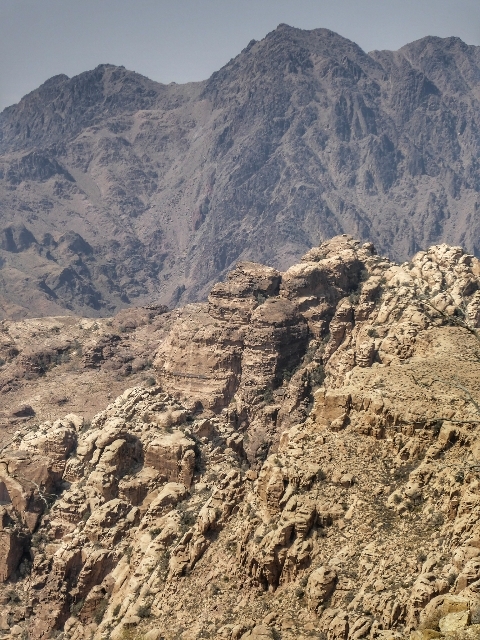 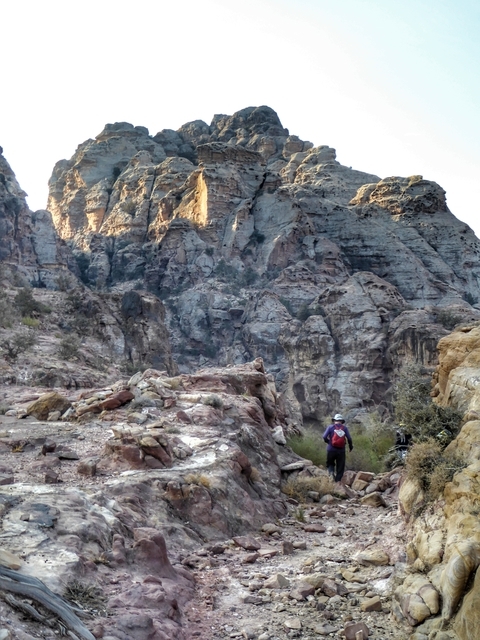 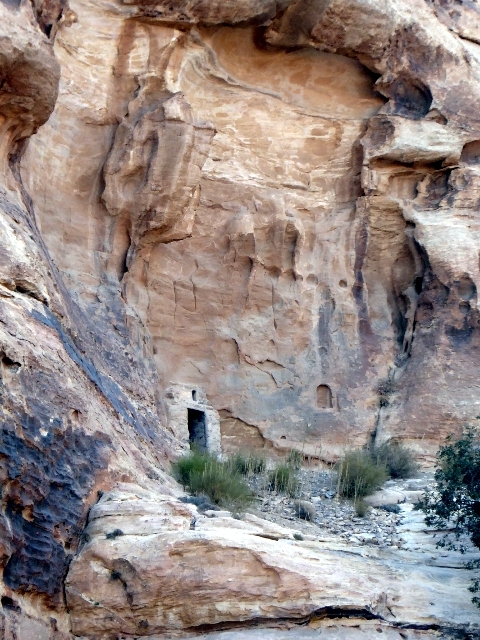 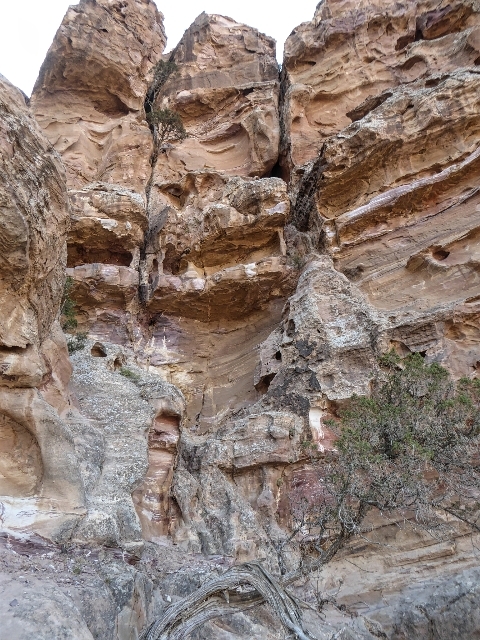 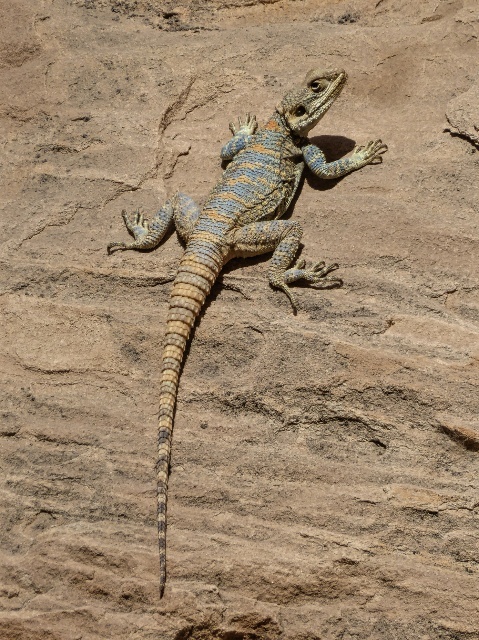 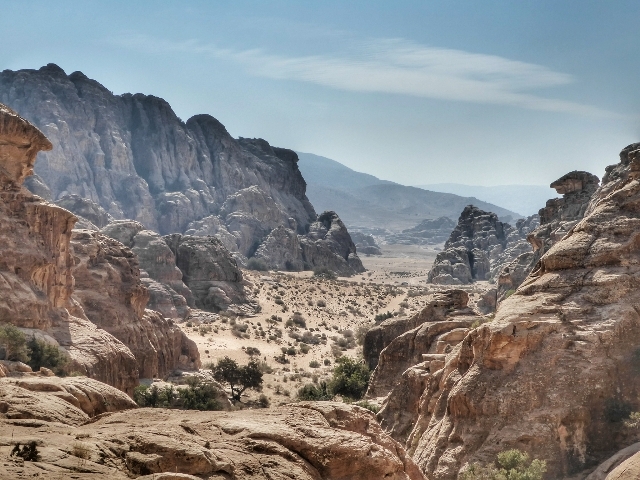 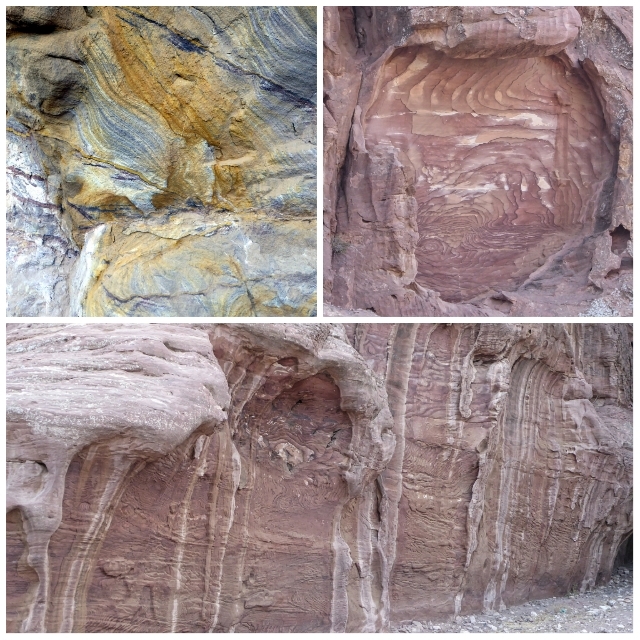 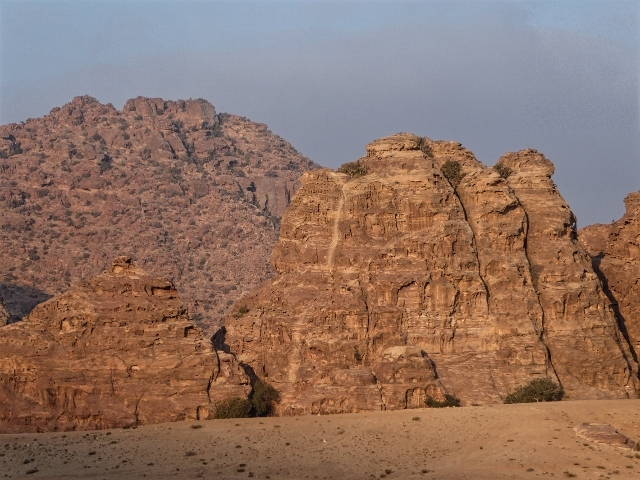 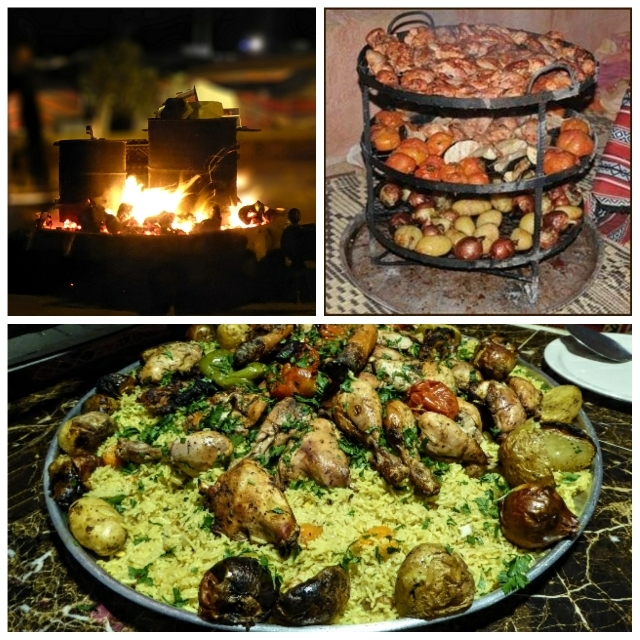 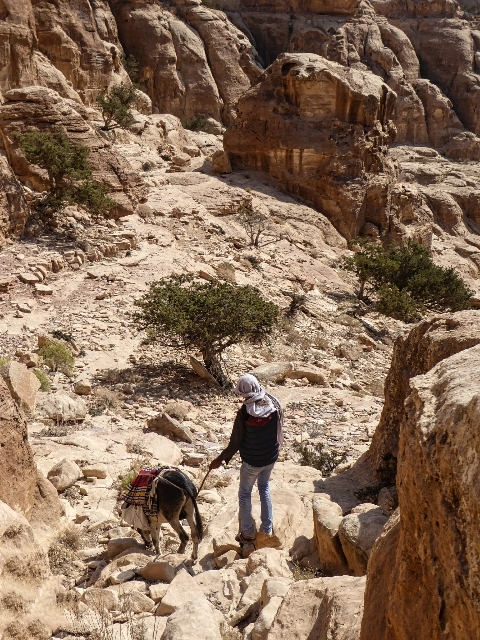 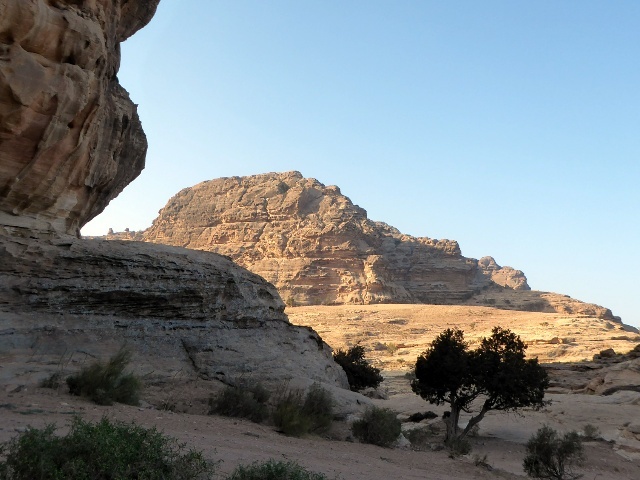 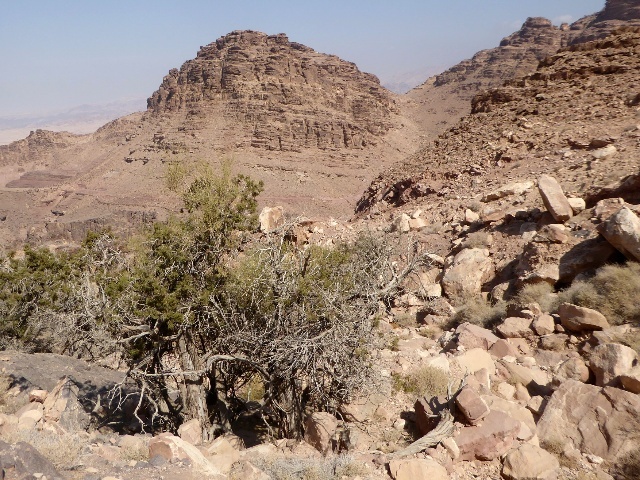 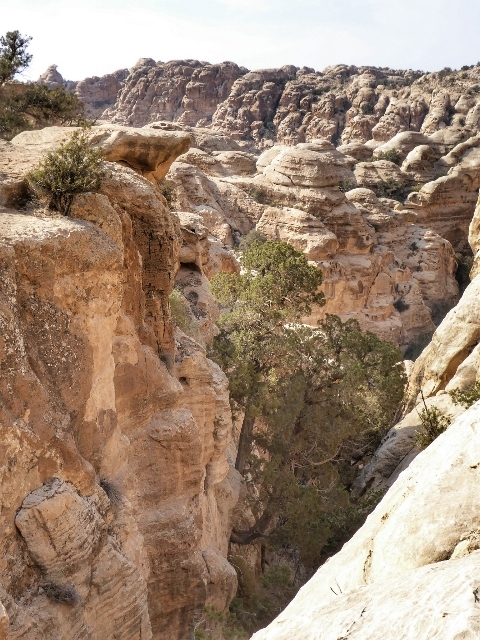 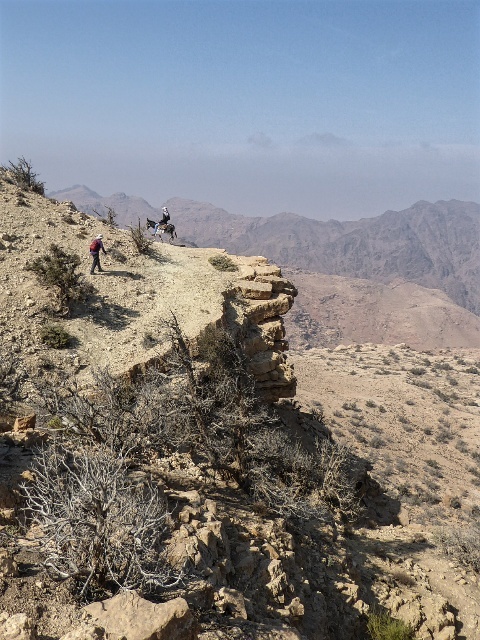 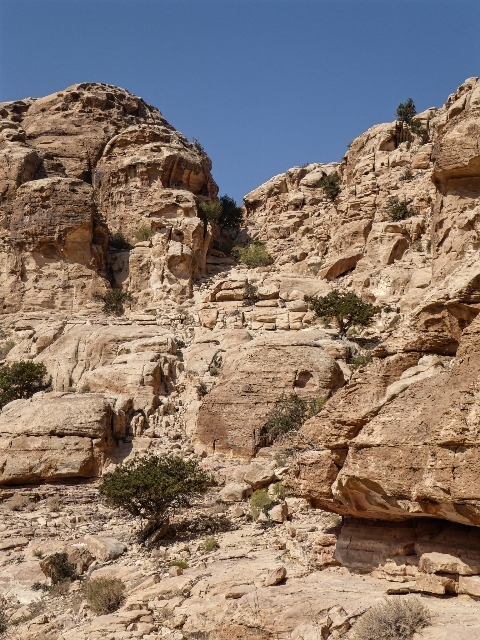 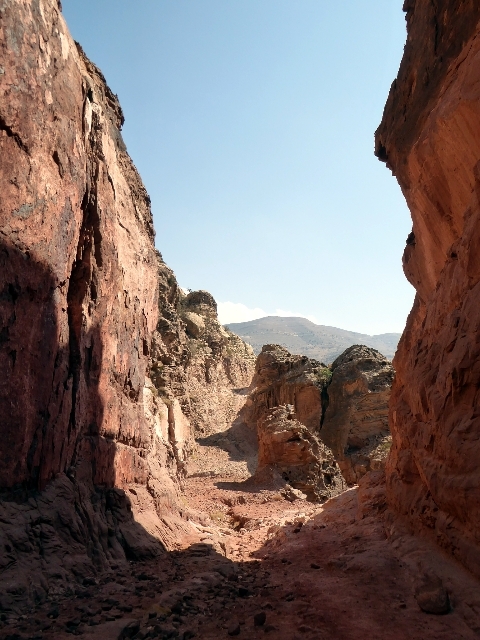 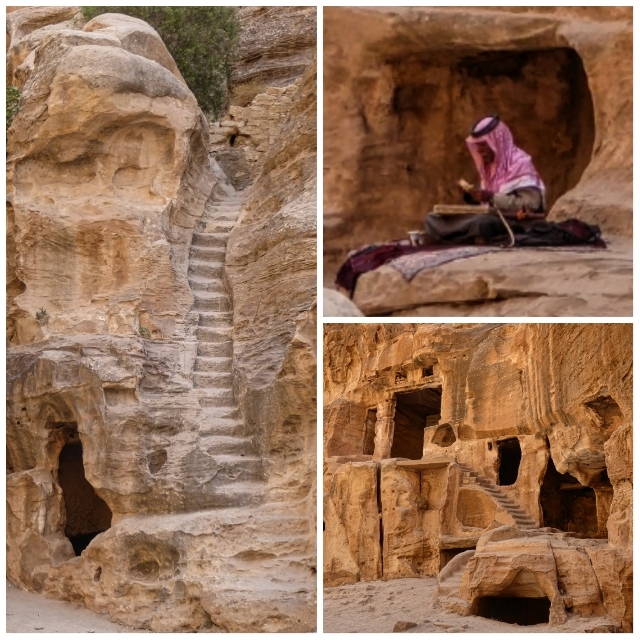 National Geographic rated the 75 km Dana to Petra Trek one of the world’s 15 best multi-day hikes. 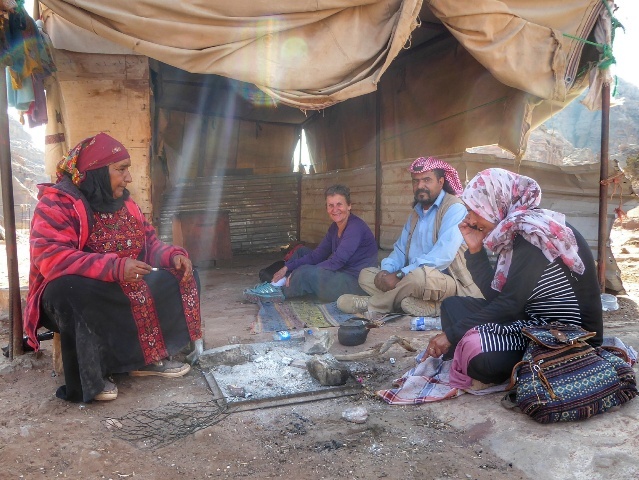 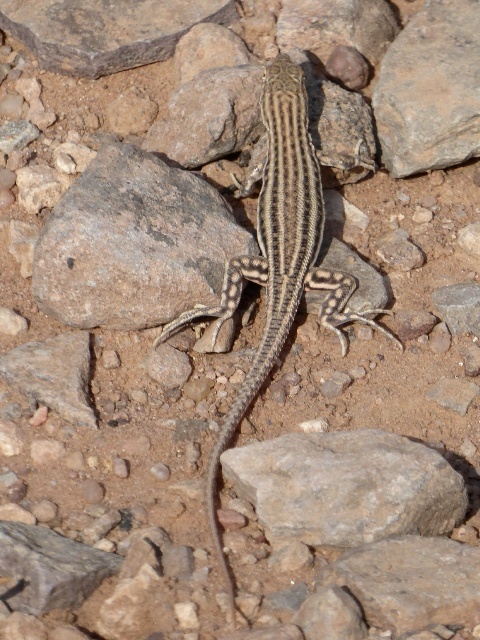 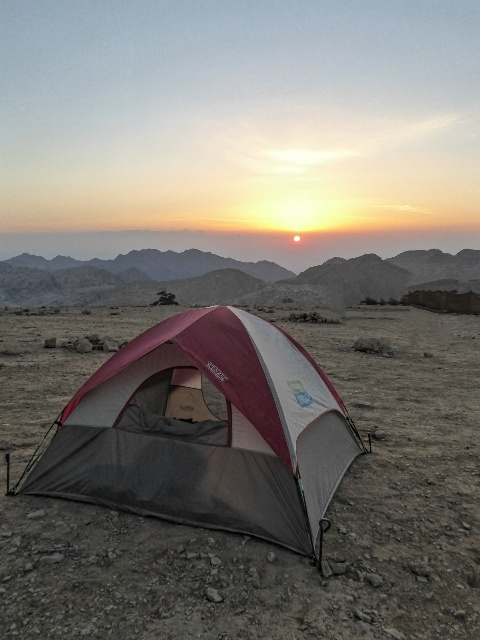 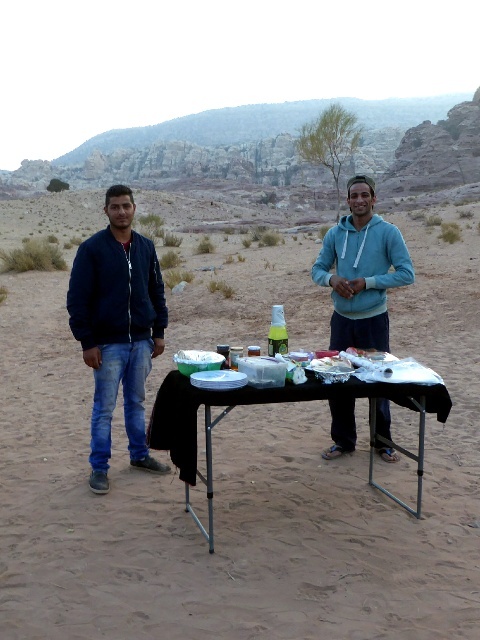 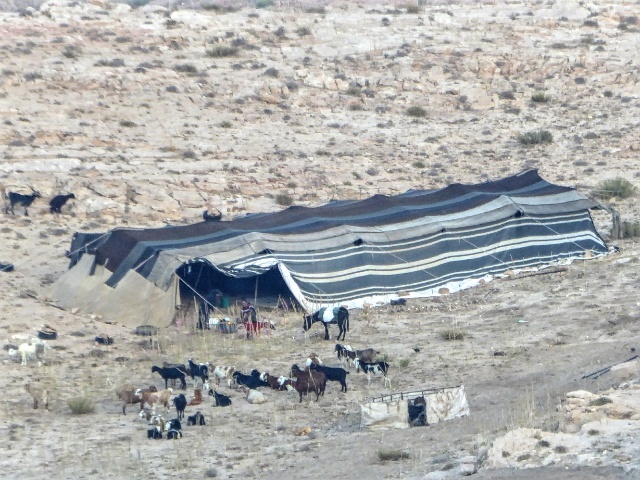 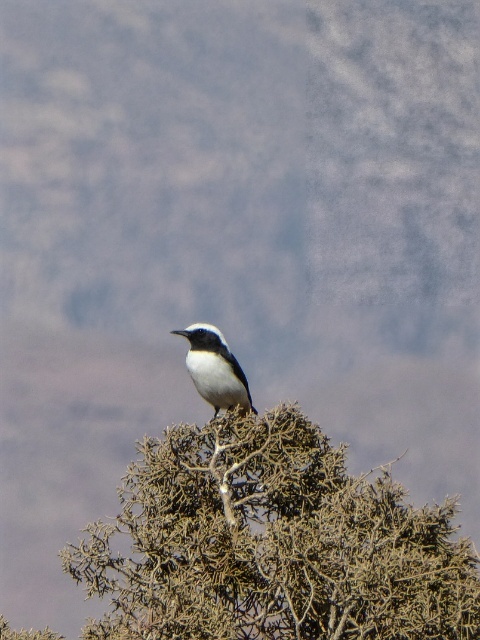 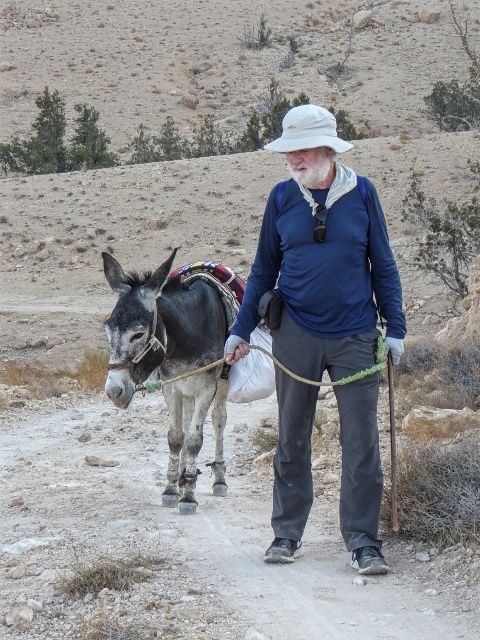 We took 5 days with the help of our Bedouin support crew and specialist guides plus a donkey, organised by Experience Jordan. 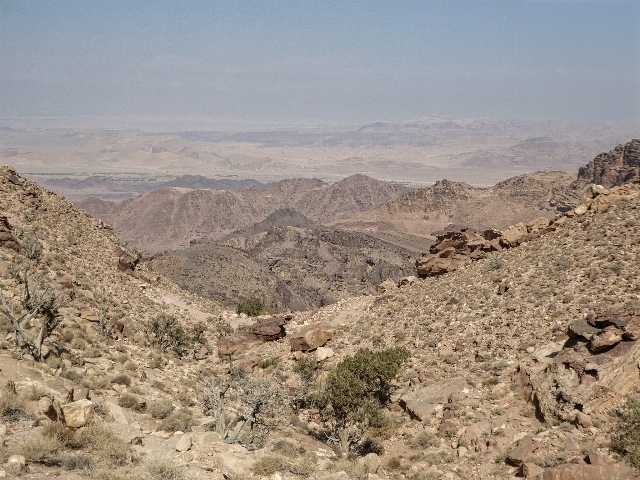 The map is here. 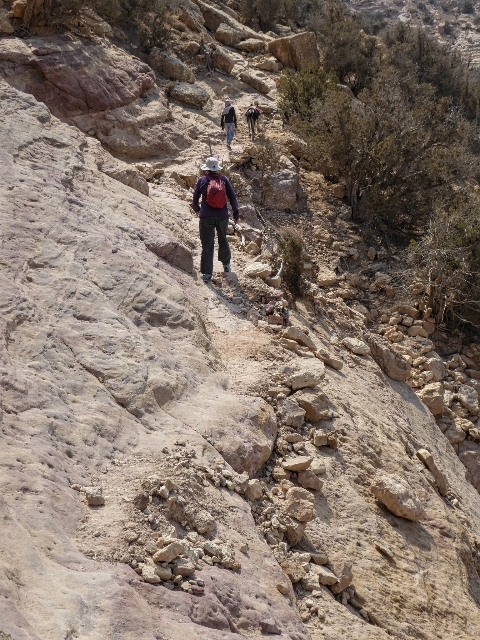 A relatively easy walk with the trail dropping steeply to drop about 500 meters in the first hour and then more gradually through the Dana Biosphere Reserve. 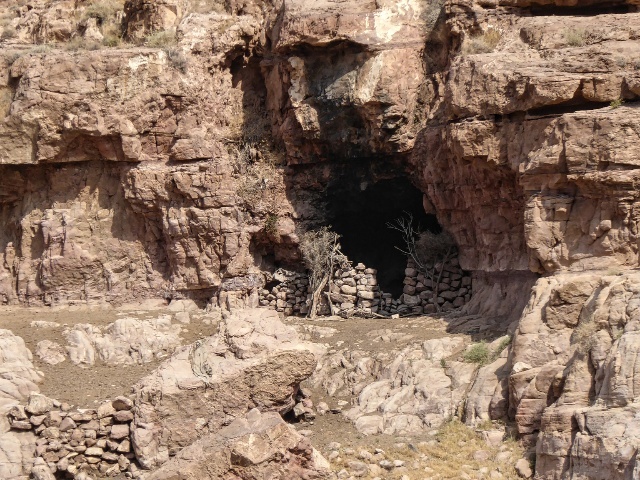 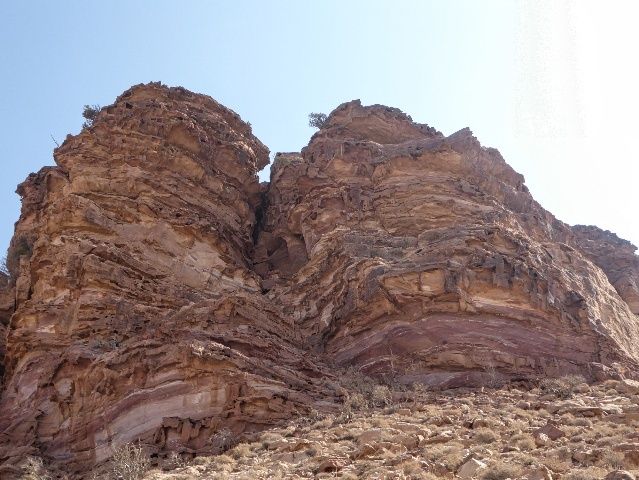 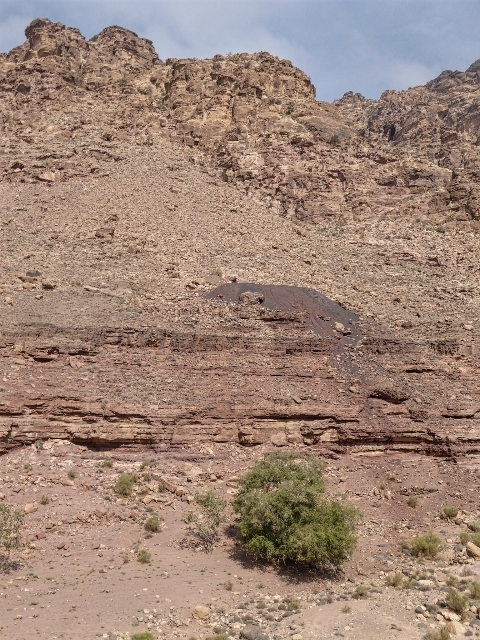 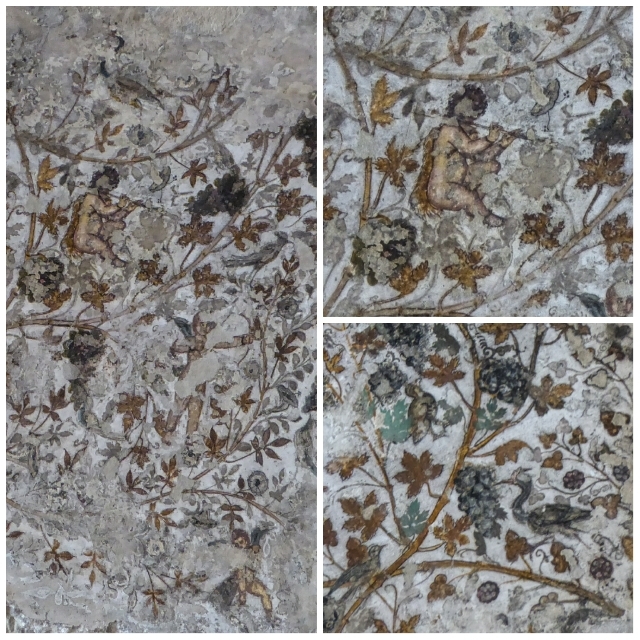 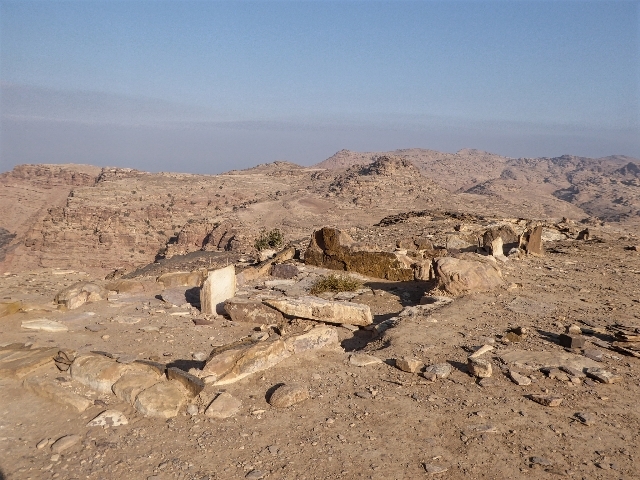 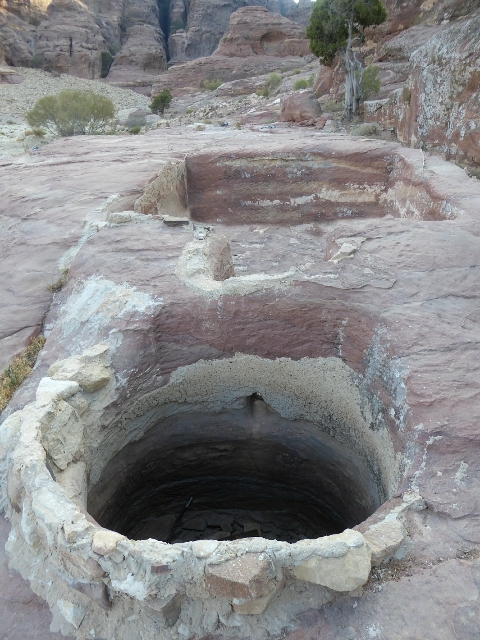 Feynan copper mine from 3300 BC, later Roman – site of King Solomon’s mines? 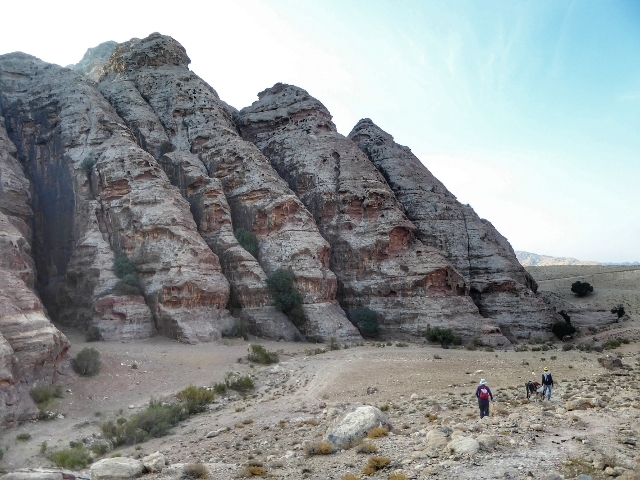 Climbing up through the mountains, the colours and rock formations change at every turn. 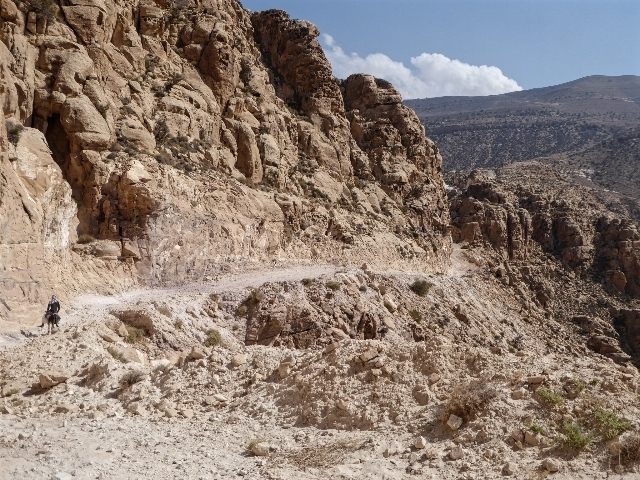 It’s a steep and more difficult section but made easier by the dramatic and stunning views all around. 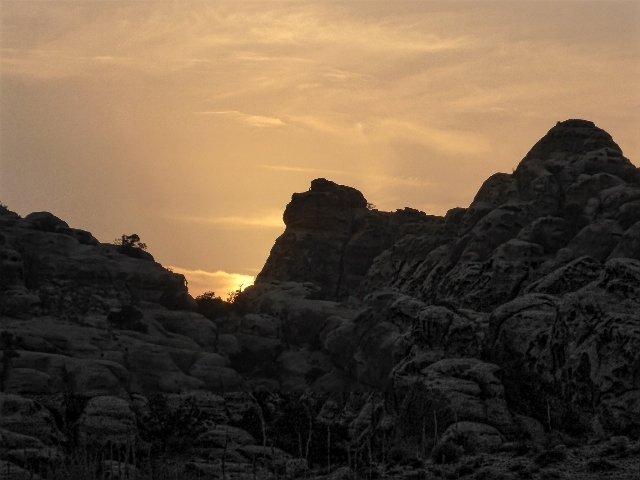 We found ourselves constantly looking back in wonder. 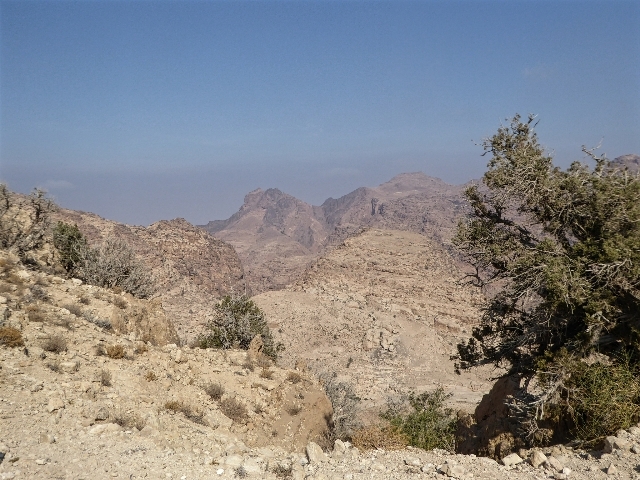 Yes, we have to go up there! 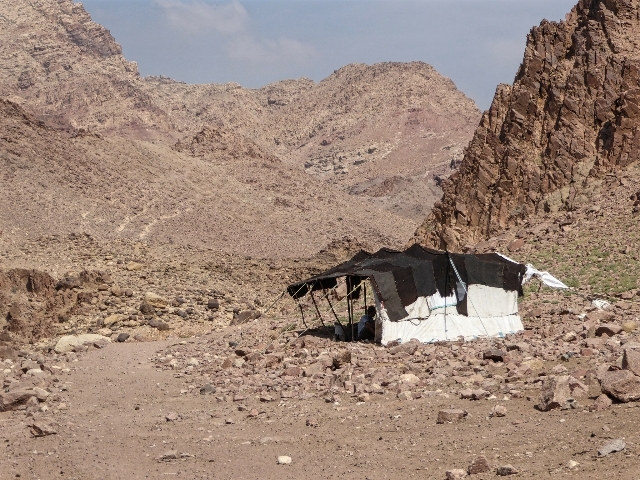 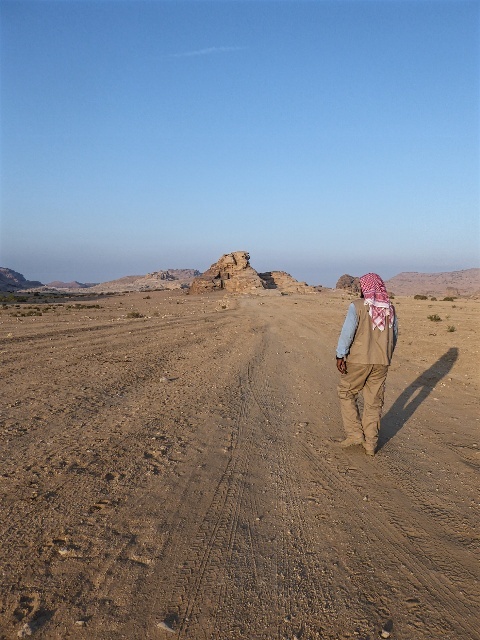 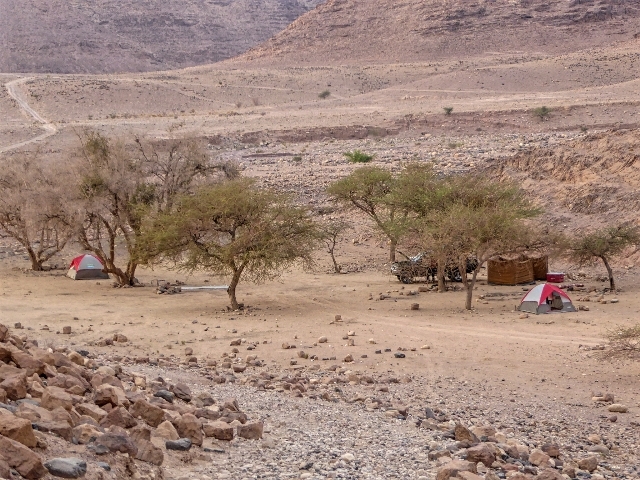 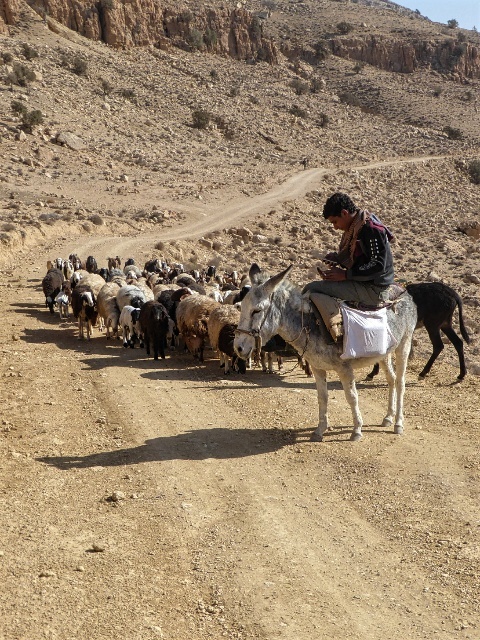 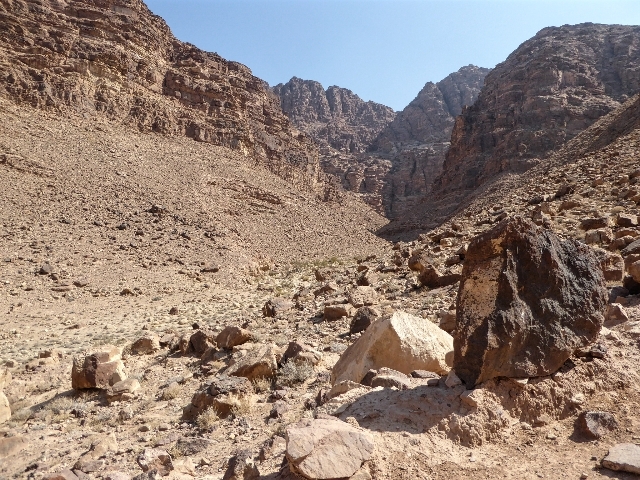 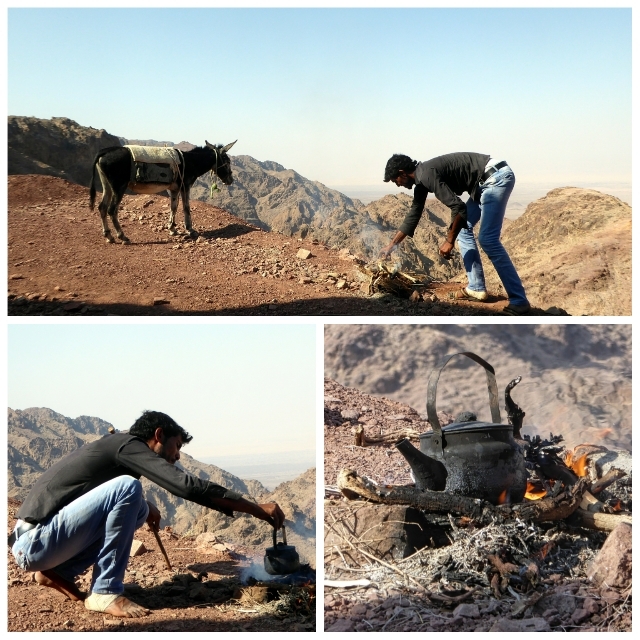 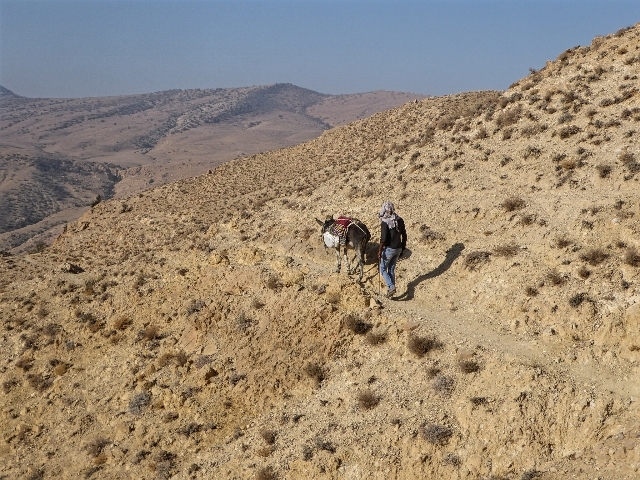 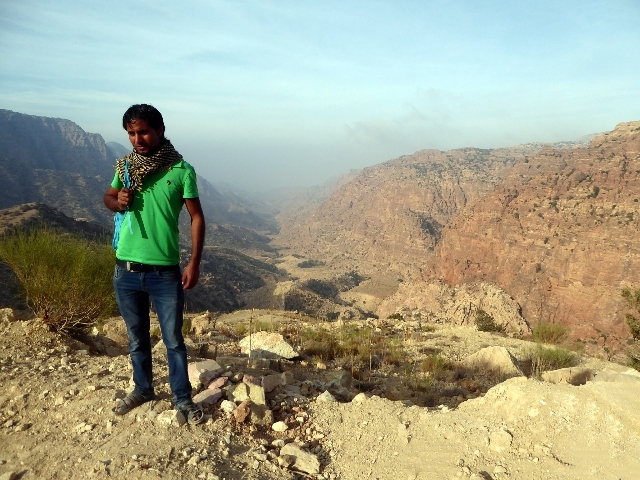 Into the remotest and wildest Jordan the route followed barely visible (to us) Bedouin shepherd and hunter’s trails. 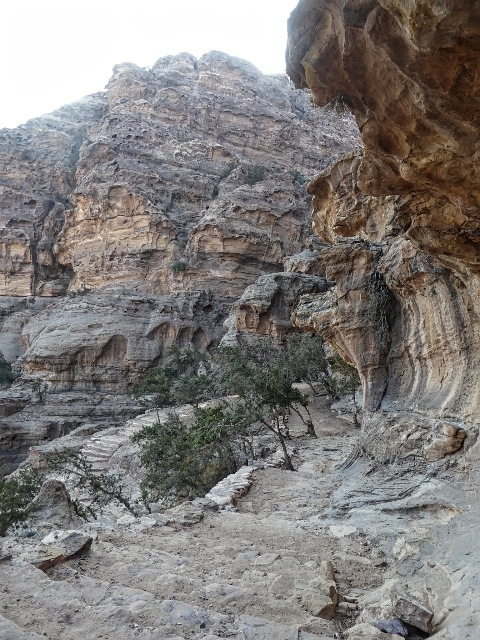 Just when we thought it couldn’t get any better we tracked along a narrow path with steep drops into the canyons below, absolutely spectacular. 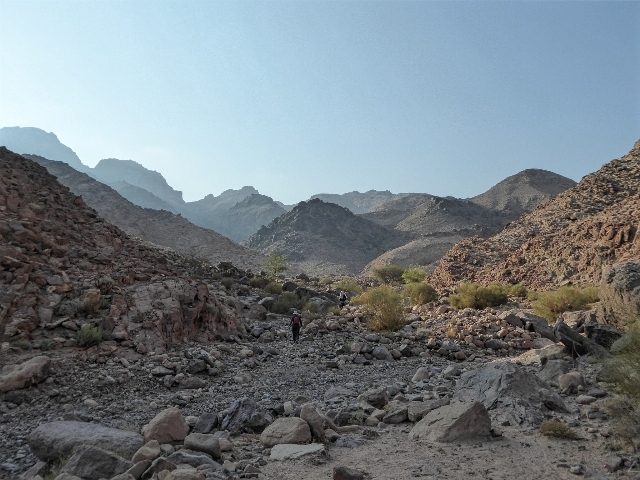 We thought this 14 km would be easy, along the road, but no. 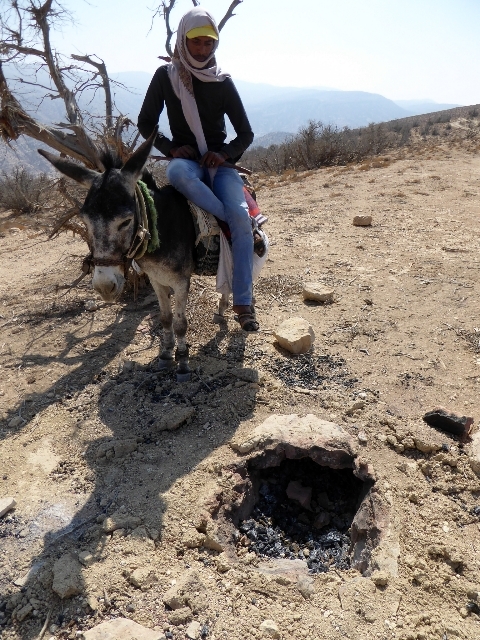 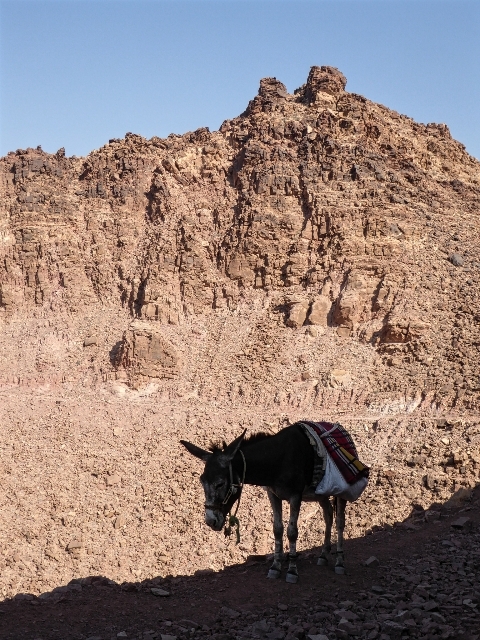 Mohamed took us on a shortcut close to huge rocks appearing out of the desert then down a steep descent, so steep even Donkey was reluctant! 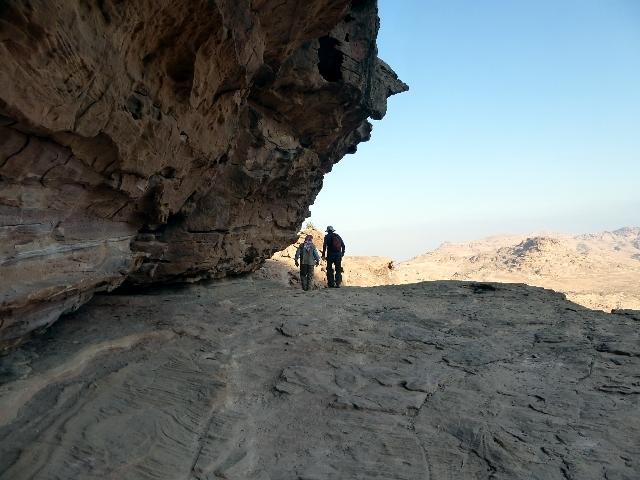 Looking back at the rocks we just descended, thinking how is it possible? 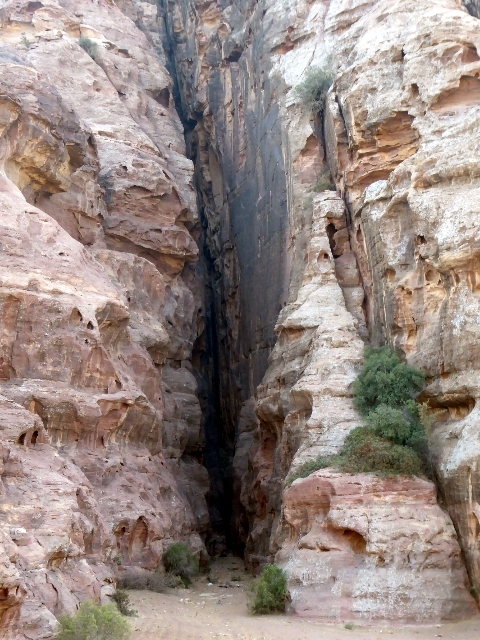 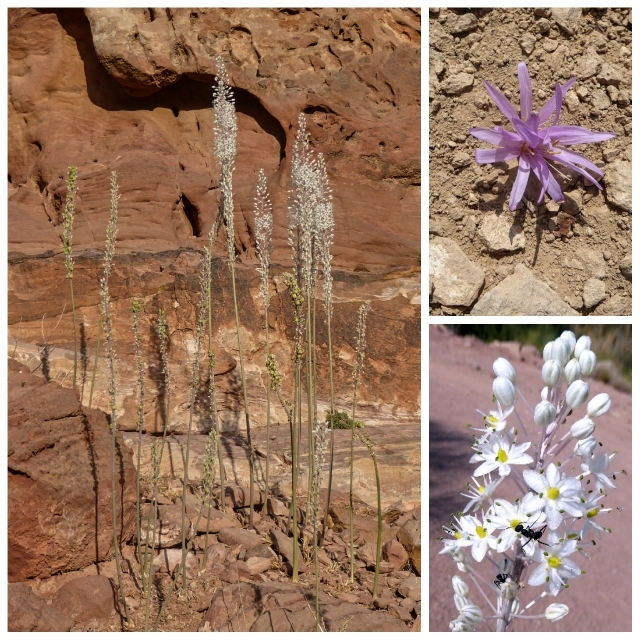 Guided by a National Parks officer and his wife we entered Petra via “The Back Door”. 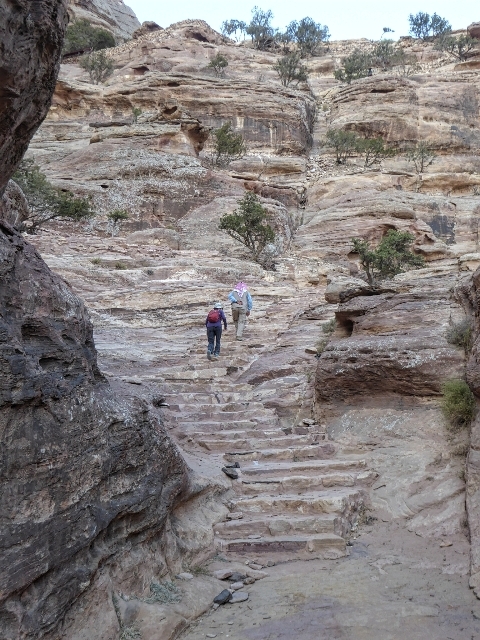 This way follows a Nabataean route around the mountain guarding the approach to Petra using steps and a natural rock terrace which has been improved (for the safety of walkers). 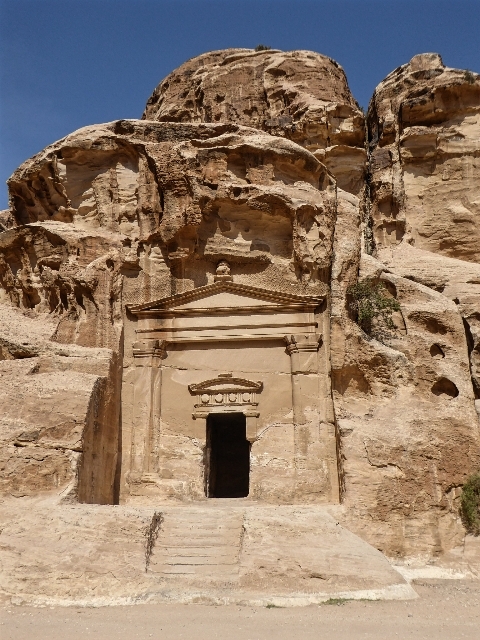 First sighting of the Monastery of Petra after 5 days walking was a little emotional. 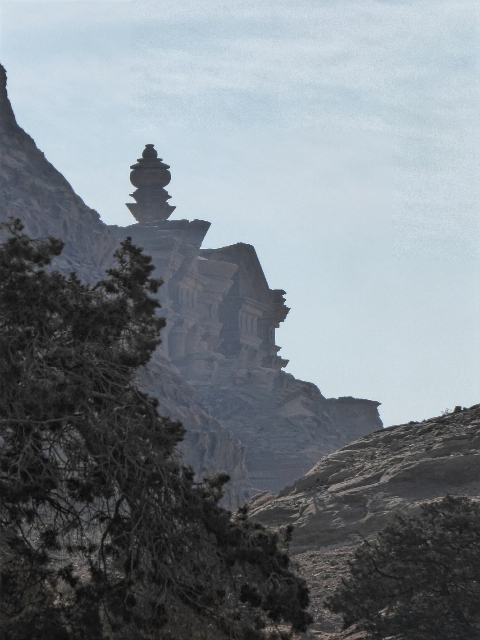 Finally we round a bend and there’s the silhouette of the Petra “Monastery”!